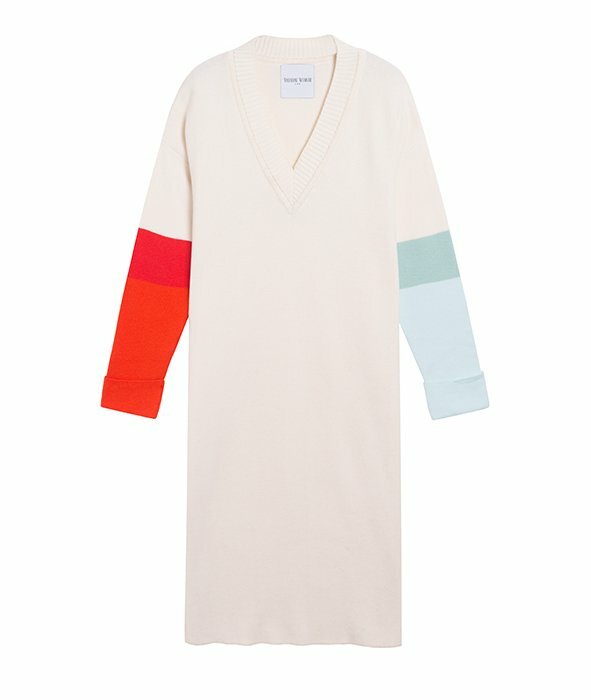 This sweater dress has been spun from a cotton and cashmere blend. It has a straight-cut fit with a contrasting and flattering V-neck for a more feminine look. We love the exaggerated cuffs and the tone-on-tone colour pallet. Pair it with trainers or sandals. All our products are “unique size”. Dry cleaner or washing machine (wool program).